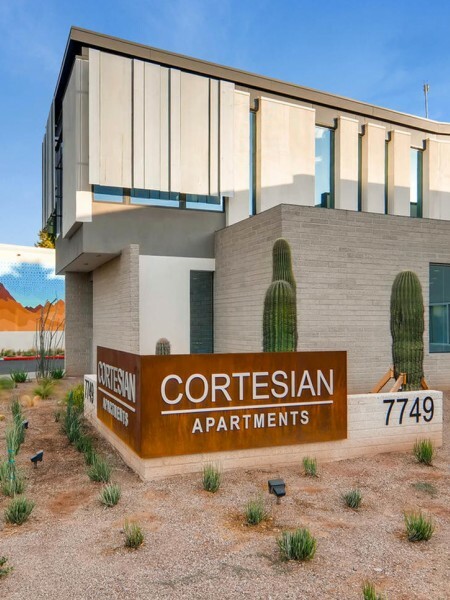 Welcome to the Cortesian Apartments, located in the heart of Scottsdale Arizona. Our Scottsdale apartments are spacious and convenient. We offer one and two bedroom apartments ranging from 716 to 1,132 square feet. Inside your bedroom you will have large closets for storage and wall-to-wall carpet or vinyl plank flooring. Our apartments come equipped with fridges, dishwashers, microwaves, and gas range stoves. 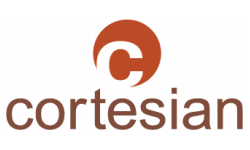 Living here at the Cortesian Apartments is comfortable as all of our apartments have central cooling and heating. In addition to great apartment amenities we also have a variety of community offerings. We are a pet friendly community that relishes comfort and relaxation. Our on-site management team can help you find one of our three pools, or receive any packages you might be expecting. Because the Scottsdale greenbelt is nearby, you will get to experience the beautiful Scottsdale scenery while walking, running, or biking. You also have your choice of dining, entertainment, and shopping all within walking distance. Inside our community we have courtyards that you can walk, bbq grills you can utilize for some great eating, and a 24-hour fitness center that is stocked with new state of the art equipment. We want you to have an excellent experience in your Scottsdale Apartment. Call or text today (480) 725-4153. The Cortesian welcomes your pet! Our apartments accommodate up to two pets per home, with no weight limit. Additional deposits and breed restrictions apply. Your pets will love it here!